What better way to get in the holiday spirit than with not just one, but two, incredible holiday songs from boy band sensation, In Real Life?! The outstanding In Real Life is one group we all can’t stop swooning over. Consisting of band members Brady Tutton, Chance Perez, Sergio Calderon, Michael Conor and Drew Ramos, each of the guys are all so immensely talented, charming and super passionate about what they do. Of course, everyone can’t help but gush over their good looks too! The spectacular In Real Life joined together as the magnificent band that they are after their fun journey on the show, Boy Band. After many weeks, the fans chose who they saw fit as the best boy band on this planet and the remarkable In Real Life came to be. It was so amazing getting to see Brady, Chance, Sergio, Drew and Michael bond and create a wonderful brotherhood while on the show and afterwards. Since then, In Real Life has truly been taking the entertainment world by storm. They have released their hit single, “Eyes Closed” and two, fantastic holiday songs titled “Feel This Christmas” and “I’ll Be Home For Christmas.” In Real Life has also been keeping busy with their endless amount of exceptional performances they have been giving all across the nation. They never fail to blow everyone away with their phenomenal performances. 2018 is bound to be another terrific and unforgettable year for the brilliant In Real Life. I, Alexisjoyvipaccess had an excellent time catching up with and interviewing the extraordinary In Real Life again at their concert at The Roxy and they dished exclusively to Alexisjoyvipaccess all about what it was like creating their amazing, holiday songs, what are some of their holiday traditions, and so much more only in our VIPAccessEXCLUSIVE updated interview. In Real Life even took on a fun, holiday-themed speed round and revealed what their favorite holiday movie is, what their favorite holiday treat is and more – hear what they had to say in our VIPAccessEXCLUSIVE updated interview below. Thanks for another awesome interview, In Real Life! 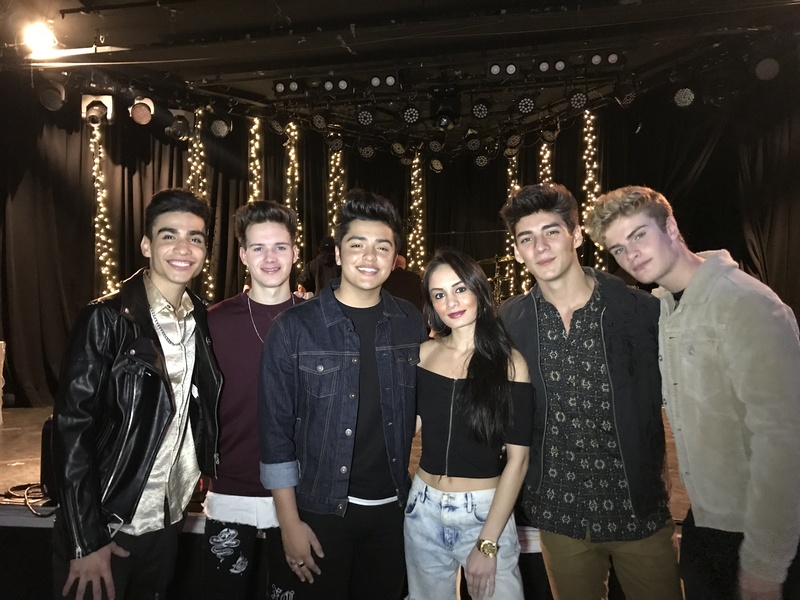 Check out my updated VIPAccessEXCLUSIVE interview with the remarkable In Real Life at their concert at The Roxy below! Previous VIPAccessEXCLUSIVE: Asher Angel Interview With Alexisjoyvipaccess At His Concert At The Roxy! Next Article: Sam Lerner Had A Remarkable Time At The “Jumanji: Welcome To The Jungle” Premiere!